Visitor chairs are generally placed in the waiting area of an office. The waiting area generally creates a first impression of your workplace on the key people visiting your office for business such as prospective clients or vendors and potential employees of the organization. It then becomes of utmost importance to invest time and money in the appearance of this area. It is no surprise that attractive aesthetics are an important element of any interior design. 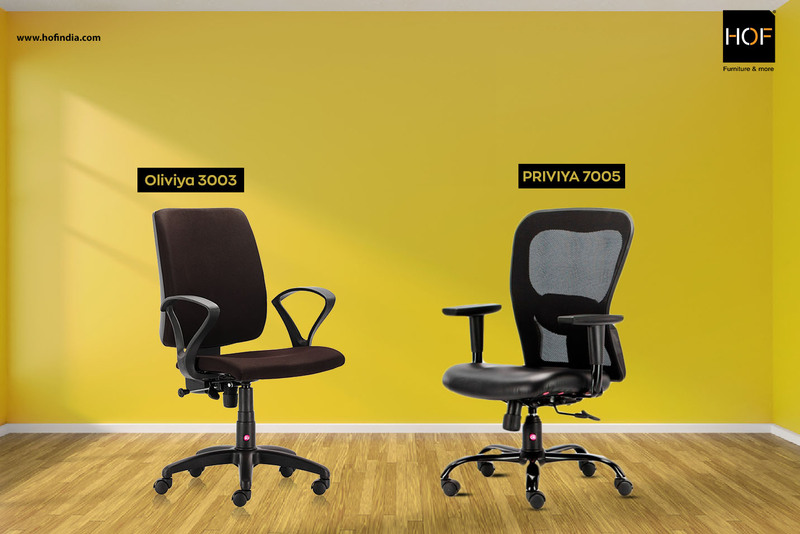 Availability of wide variety of designer chairs online makes it easier for the buyer to purchase the right kind of visitor chairs which at the same time aligns with the aesthetic requirements of the office interior. The comfort level of the visitor chairs is also an important aspect apart from its appearance. If the chair is comfortable enough, the visitors will note the fact that the office pays attention to details. Such an impression on visitors could actually work in favour of the business. Choices of people in the matter of style and comfort while selecting a visitor chair are completely subjective. The choices could differ right from something basic such as the material of the chair to something technical such as mechanism of the chair. Easy availability of revolving chairs online makes it one of the most popular office chair products. The revolving chairs can be moved as and when required. Also, if the visitor chairs purchased are of leather material then it is easy to keep them clean. Easy maintenance of the chairs is an inevitable factor to be considered because many people would be using it throughout the day. Browse through our collection of stylish visitor chairs on shop.hofindia.com now! « Did You Know about these 4 Types of Office Chairs?